Want to see for yourself where the Rosetta comet-chaser, and all other European space missions, come from? This October will be your chance to visit ESA’s largest establishment, to join in the celebrations of 50 years of European cooperation in space. ESTEC, the European Space Research and Technology Centre, is the technical heart of the Agency, nestled beside the sand dunes of Noordwijk, the Netherlands. 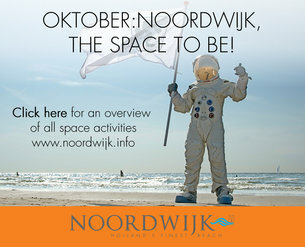 On Sunday 5 October ESTEC will be opening its doors to the public as part of the Netherlands’ national Weekend of Science and the global World Space Week. ESTEC includes a suite of technical laboratories, the Erasmus centre – ESA’s human spaceflight research facility – and a dedicated centre for testing full-sized satellites. You can tour through the sprawling site at your own pace, with plenty to see as you go. You’ll have the opportunity to meet astronauts and space experts, see flight hardware in close-up and tour exhibits dedicated to landmark space missions of the past, present and future. The theme of the Open Day will be ‘50 years of European Cooperation in space – bring on the next 50 years!’. 2014 marks half a century since the creation of ESA’s two predecessor organisation, the European Space Research Organisation and European Launcher Development Organisation, beginning Europe’s collaborative space effort that continues to this day. Where will this shared adventure take us over the course of the next 50 years? As part of the Open Day, specialists will share their own predictions of things to come in space, and how these discoveries and achievements might affect our way of life back on planet Earth.